and others are all related. The blog template contains meta code that makes some of these wizards work. If we mess up the template, some of these wizards may not work anymore. Then, we say simply that we have a "corrupted template". What now? Can we recover from a "corrupted template"? When you have a corrupted template, the recovery process is simple (though not always painless). If you backed up the template, restore from backup. Hoping that you backup the template regularly, simply restore from the last backup. If you hadn't yet learned to backup the template, you have to Pick A New Template (and hopefully now learn to back it up next time). In some cases, you can't access the Template page - and you can't restore. But sometimes, the changes that you made to the template cause worse problems. Sometimes, you can't get to "Edit HTML" or "Pick New Template" to restore or rebuild the template - or maybe, you can't load the dashboard. Now, you have to work a bit harder. 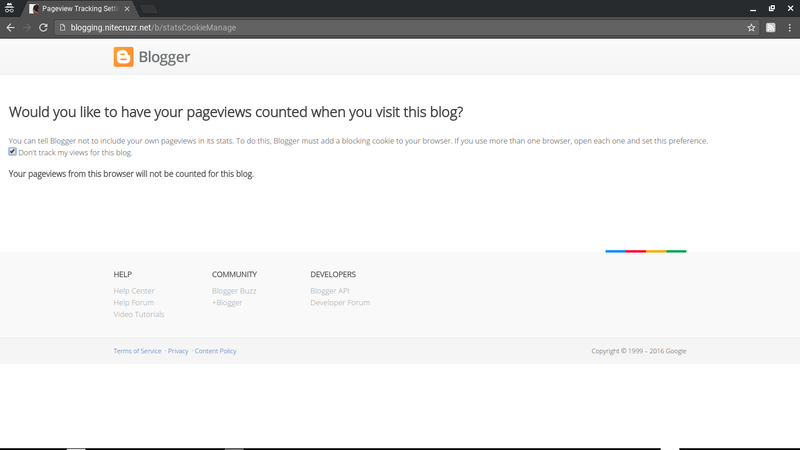 Login to Blogger, and load the dashboard. If you cannot get the dashboard to load, load your blog, and find the "New Post" link in the navbar. Copy the link behind the "New Post" button, on the dashboard - or the "New Post" link, on the navbar. Either URL will be the same, when you are logged in to Blogger, using the right account. Paste that into the browser address window. Do not hit "Enter". Change "editor", in the browser address window, to the appropriate wizard name. Template Designer: template-editor, as "www.blogger.com/template-editor.g?blogID=nnnnnnnn"
The BlogID value is the key detail, in all of this. Note that the BlogID (for your blog) is the key, here. Under the right circumstances, you can use a similar technique to recover (not recreate) a deleted post. And, when you identify a malicious / misbehaving blog accessory, you can remove a problem gadget without going through the dashboard menu. If the blog is locked by the Blogger spam classification process, all that you'll have will be a dashboard link. Extract the URL behind this link. In this case, you'll need the lockedBlogID value, to request an unlock review. Not all links will require BlogID, however. And here's a couple useful links, that should not require "nnnnnnnn". Some settings are harder to access, than others. The dashboard Stats - "Manage tracking your own pageviews" setting uses a different format. The Stats Setting page, for this blog. 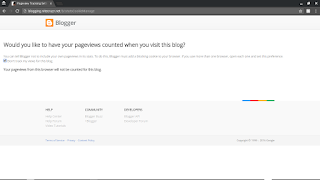 Your blog will have a similar Stats control URL. Custom domain blogs will be different! Remember that custom domain publishing does not yet support HTTPS. If you're wondering if this could be used as a hack, verify vulnerability. If you're security conscious (which is never a bad thing), all of the above advice may make you very nervous. Why is he telling people to access the blog wizards, without logging in? I don't want people trying to hack my blog, from his instructions! And that's a good thing. If you're feeling this uncertainty, reassure yourself. Just clear cache, cookies, and sessions, restart the browser, and try to use one of the links generated, per the above instructions. Note that this procedure, like many many others, will have better chance of success if you do not excessively filter third party cookies. My template is set up such that I have a button to click on if I need to modify an entry. Other people get a login if they try -- so sad for them. But it usually goes straight to the editor (except those weird times when Bloglines doesn't remember who I am!) I figured that out when I needed to fix an entry that was actually in an archive. Makes things so much easier. YESSS! You have TOTALLY saved my bacon. THANK YOU!! yes... I get back My blog .. thank you so muchhhhhhh..
you are a good Helper to me..
but google asked me to sign in. I tried to sign in several times it didn't work, again sign in page is coming. What to do? please help me. I lost layout option in my dashboard. On my blog I have a "Motion Clocks Scribble Clock". It is causing my entire blog to be directed to a weird site. When I try to remove the clock, it doesn't give me time to remove it before it redirects. This is our church prayer request blog. Do not use the GUI "Page Elements" wizard to remove blog hijacking malware, use the "Edit HTML" wizard. This would be a great question to ask in Blogger Help Forum: Something Is Broken. All blogs that are accessible contain the BlogID in the header. Revealing the BlogID presents no unusual risk - and no, I can't see any hacking potential when it's revealed. Ask this question in Blogger Help Forum: How Do I?, if you like - and we can debate it. Thank You So MUCH!! ! I tried the direct link to my template because I could not access from the dashboard directly. I still get a bx error and the template page shows up but incomplete and does not allow me to change/fix anything...any ideas? Thanks for the problem report. We really really should diagnose your problem, in the forum. The formatting options are way better there - plus the ability to Edit content. With this comment, as soon as I hit "Publish Your Comment", it's out of my control. I edit my blog posts - and my forum posts - between 6 - 10 times, for each paragraph, on an average. With this comment, I would be at the 20 edits minimum - IF I COULD EDIT. Which I cannot. So please, please, please post in the forum! (now I'm at the 30 Edit level - and not 1 edit can I do). See you in the forum. Please. (36).